Hello! Today I have swatches of two polishes from Baroness X to share. The two polishes I am reviewing are available for purchase now. Funky Fruitcake is a berry jelly polish with color shifting micro flakies. Shown here is three coats with top coat. This polish has a gorgeous shimmer that is so hard to capture! I had to angle my nails almost parallel to my camera to be able to capture it. I experienced quite a bit of staining with this polish even with two coats of Yellow Stopper as my base which is unfortunate because it really is a beautiful and unique polish. I was able to remove the majority of it after letting my nails soak in cuticle remover and scraping with an orange wood stick (yes I know this is probably not the best way to remove staining). It is a shame that it stains so badly because it watermarbles perfectly! Taking a closer look, you can definitely see the micro flakes. 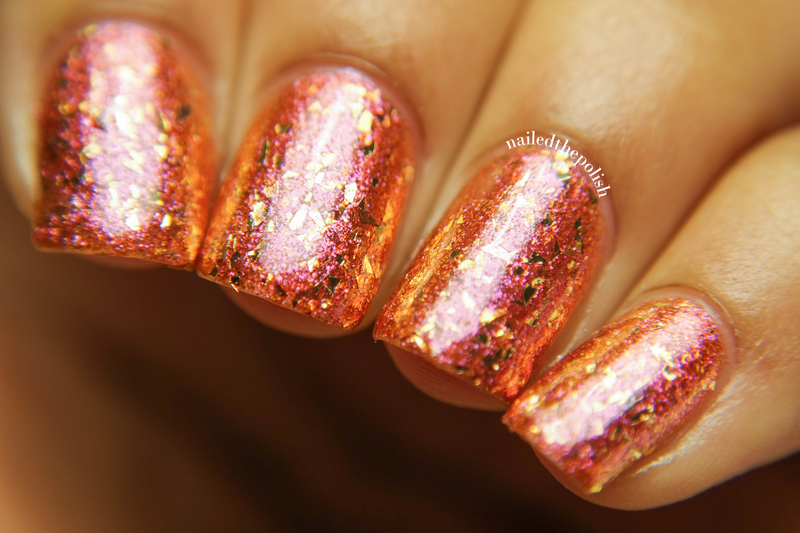 Utopia is an orange copper flakie polish with gold glitter shards and pink shimmer. Shown here is two coats with top coat. This polish can also be worn over black as shown here. This polish is extremely unique to say the least. Even with all the elements in this polish, the formula is quite thin which is a pleasant surprise. 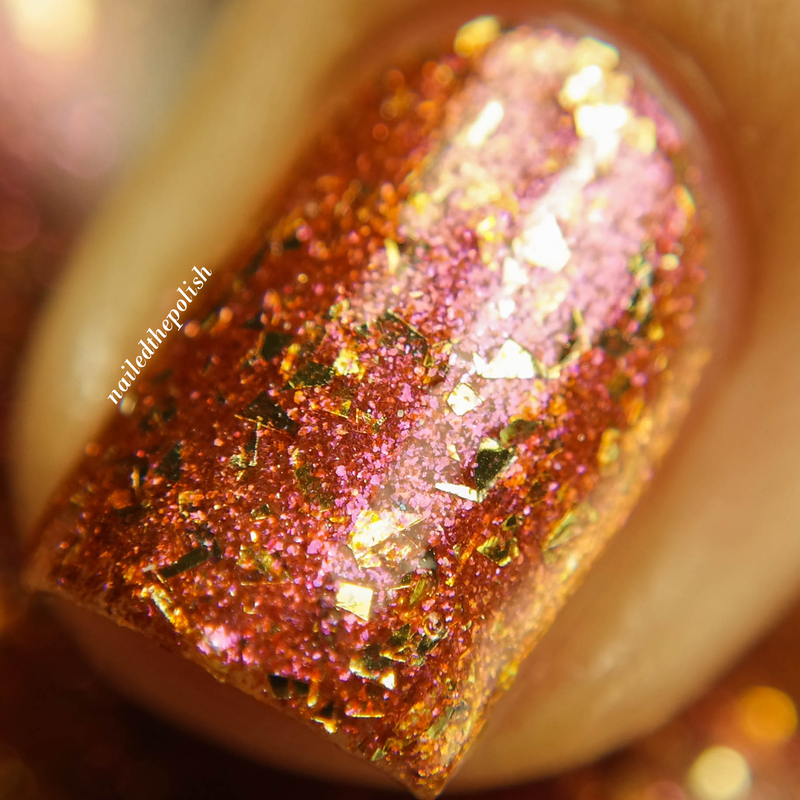 I love how this polish looks in the macro photos! As this is my first time working with Baroness X polishes and I have only swatched two polishes, it is difficult to form an overall opinion about this brand. The formulas of both polishes were thin but still a consistency that you can work with. When comparing with the rest of my polish collection, I do not have any polishes that closely resemble these two. Funky Fruitcake and Utopia – along with many others polishes – are available for purchase here or through their Etsy site. Be sure to check out Baroness X on Instagram, Facebook, and Twitter for more photos and information on upcoming collections! ← Polished by KPT New Basic Series Polishes and More!